First up will be the GMU Invitational on Saturday and all the results will be here that evening. But Sunday five W&M athletes will be in Palo Alto for the Stanford meet. Running there will be Coach Newberry in the 10K (section 1), Emily Anderson in the 1500 (section 2), Coach Moran (section 1), Ian Fitzgerald (section 2) and Patterson Wilhelm (section 3) in the 5K and Ben Massam in the 10K (section 3). Due to the time difference, some of the races will be quite late, but you will be able to see all the races shortly afterwards by going here. You can also see live results by clicking here (and the time schedule). Click here for all the entries and other information. Schoener, who is attending dental school, ran 2:19.22 and was 14th overall and the second American in the race. More and more. 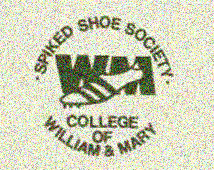 Other W&M alums who ran at Boston were William Tarantino '05 2:29:30, Tyler Kirk '03 2:42:54, Chris Healey '05 2:43:31 and Spencer Kirk '07 2:54:39. By the way, Spencer sent me this information and if you know of any alums who are running noteworthy performances, please send me the information. Cheryl just ran a 2:42 PR to finish 32nd at the Olympic Trial Marathon in Boston. The soon to be doctor has been balancing rotations and 70 mile weeks. Click here to hear how she does it (it may take a minute to load on your computer). Above are the pictures from the women's celebration of their CAA title and the sprint/field events. 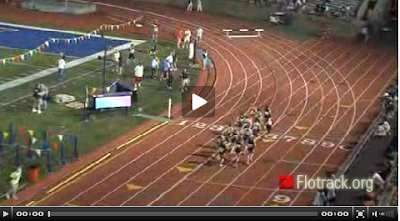 Click here for the steeplechase races, here for the distance ones and here for the multis. The top video is Dan Klatzkin who threw the disk 153'4" to move to 4th on the All-Time list at the Lou Onesta Invitational. 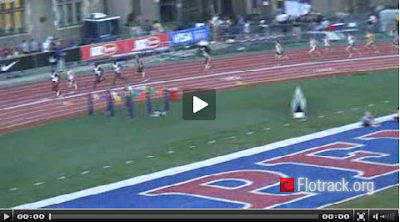 The bottom video is Katie Guevel's school record 100 meters in 14.01 and you can click here to see her 122'11" javelin throw which now ranks 9th All-Time. Juice Catching a Few Rays! The CAA meet has started and you can get live updates here. Men come in second and women win CAA meet. 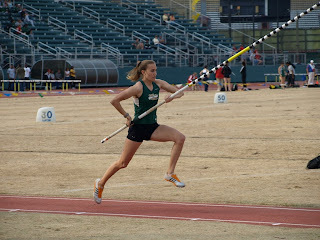 W&M champions are Nicole Kazuba (pole vault), Abby Lemon (hammer throw), Meghan Burns (1500 m), Patterson Wilhelm (5K), Caitlin Price (5K), Emily Gousen (10K) , Allie Lewis (800 m), Katie Guevel (heptathlon), Rob Dennis (steeepchase) and Ben Massam (10K) have won their events. Megan Holden '93 and Cheryl (Bauer) Anderson '03 are running in the US Olympic Marathon Trials this Sunday at 8 am. Megan has a PR of 2:44.57 and Cheryl 2:42.52. Click on the links to see their complete biographies. The race will be live on NBC on Sunday at 8 am on Sunday. Cam Shriver was named the Field Athlete of the Week after winning the Colonial Relays high jump with a jump of 6’ 10.75”, qualifying for the NCAA Regional and tying his career-best jump. 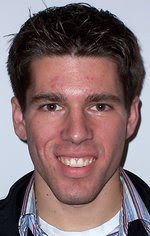 Harry Miller (pictured above) ran a career-best 9:05.38 Friday in the 3,000m steeplechase, taking second in the race and besting the regional-qualifying standard. Nicole Kazuba was named the Field Athlete of the Week for the second week in a row after winning the pole vault title at the Colonial Relays with a vault of 12’ 3.5”. Her clearance reaffirmed her qualification to the ECAC Championships, and was nearly four full inches better than any other competitor in the field. Betsy Graney running in only her second 3,000m steeplechase, Graney timed 10:46.11 for the gold medal and qualified for the NCAA East Regional. Her time beat the freshman record she set last week by more than nine seconds, and ranks fourth all-time at the College. Listen to this week's interview with sophomore pole vaulter Nicole Kazuba, as she discusses her excitement about her early-season regional mark, her upcoming competition at CAAs, and the funny story about how she first discovered her talent as a pole vaulter. 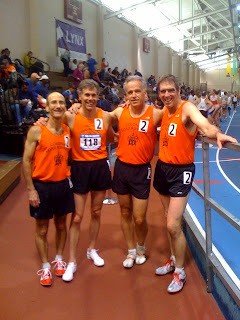 American Record for 4x800 for 50+ aged runners. Goggin's time was 2:21. Live Results today and pictures and video later in the day on Sunday. For 43 years, the Colonial Relays has offered track and field fans a glimpse of some of the world’s finest athletes. From former 1,500-meter world record holder Sydney Maree to 2000 gold medalist LaTasha Colander, the event has featured Olympians, gold medalists, world and American record holders and countless All-Americans. Pole Vaulter Nicole Kazuba was selected as the CAA female Field Athlete of the week for her victory at the Fred Hardy Invite. Defending CAA Champion Alex Heacock was chosen as this week's CAA FIeld Athlete of the Week on the strength of his runner-up 194'10" performance. Katie Guevel was choisen as the track runner of the week for her two victories and one runner-up placement.